As the cannabis industry is brand new, recruiters in the cannabis space face a number of challenges not seen in more traditional professions. This is largely because, the marijuana business has little-to-no established workforce. As such, cannabis industry recruitment requires a good deal of creativity in understanding what sort of candidates will thrive in this new business. This notion is related to the fact that “cannabis professionals” is a relatively new concept. While many of M&F Talent’s clients want to see “cannabis experience” on a resume, this is not always a possibility. There simply aren’t enough experienced cannabis professionals on the market to fill all the new jobs coming online. Therefore, we often need to critically analyze a candidate’s background and decide whether-or-not they could be a fit for certain cannabis jobs. To illustrate, salespeople from the wine industry are transitioning nicely into cannabis. Because, they are well-versed at managing a sales territory, navigating a regulated industry, and explaining connoisseur products. Hiring practices in traditional business varies greatly than what is seen with cannabis industry recruitment today. Largely because, hiring parties in established business arenas have a developed talent pool from which to source candidates. Similarly, applicants have a clear understanding of the sorts of challenges they will be facing in a familiar career path. This represents a far cry from the volatile, startup nature of the cannabis space. To illustrate, lets look at an electrical contractor company looking to hire an electrical engineer. In this situation, they can accomplish this process through established avenues of networking. These avenues include personal networks, industry referrals, job boards, career fairs, and staffing services. Similarly, the electrical contractor business could view a candidate’s resume and easily understand if they are a good fit for the job. Because, the candidate’s background as and skills are easily understood in the eyes of the hiring party. Moreover, the electrical contractor can easily identify with the candidate’s experience through company names and job duties. This connectivity in communication is often lost in the cannabis industry job searches. Because, many hiring parties still don’t understand what sort of “outside experience” is relevant in cannabis industry careers. Finding a company who specializes in professional marijuana resumes could be helpful in solving this dilemma. M&F Talent has learned a great deal about the job market doing cannabis industry recruitment. In the cannabis industry, applicants and hiring parties alike have an extremely difficult time understanding exactly what the other requires in establishing a fruitful working relationship. As such, there are almost no conventional parameters of communication between hopeful candidates and hiring businesses. Unfortunately, many good candidates are lost because of this dilemma. This is the nature of a new job market. Also, up until Colorado’s move into the recreational market in 2013, those with actual cannabis experience were not advertising it. In fact, this information has often been closely guarded due to fear of legal prosecution! 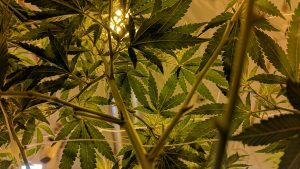 Nonetheless, the taboo mentality surrounding cannabis use, production, and processing continues to hinder the overall maturation of the industry. Because, candidates still often omit relevant cannabis knowledge or experience from their resume. They do this even though they are applying for a marijuana-related job. Sadly, for these job searchers, the mere fact that someone knows the difference between an indica and sativa could be the deciding factor in acquiring a new career. Cannabis industry recruitment takes a good deal of creativity to be accomplished effectively. Because the cannabis industry is a startup culture in its entirety, hiring companies and recruiters alike must “think outside the box” to build successful employee teams. There are no established rules for understanding who will make a successful cannabis professional. The nascent state of the industry creates barriers between “outside talent” and companies in need of good employees. This shows the complexity of a brand-new boom industry forced to rapidly source talent from an undefined workforce. 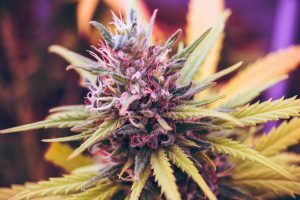 While the cannabis workforce continues to evolve, often it is up to the persistence of a motivated candidate to display their value in a fashion not evident on a standard resume. These hopeful candidates can also look to cannabis industry recruiters. With M&F Talent’s cannabis resume writing service, we help applicants from outside the cannabis business understand where their skill-sets apply in this new industry. By focusing on applicable talents and new hiring trends, we have helped a number of talented professionals “break into” the cannabis space.